alumni returning home. They will love the physical facilities and our students and faculty,” he said. The festivities begin at 5 p.m. on Wednesday, Oct. 10 with dedication of Tack Jackson Stadium. The family of the legendary principal and coach will be on hand, and all alumni are invited. The homecoming court will be presented before the game, which will begin at 6 p.m. The annual Homecoming Parade will begin at 9 a.m. on Saturday, Oct. 13. 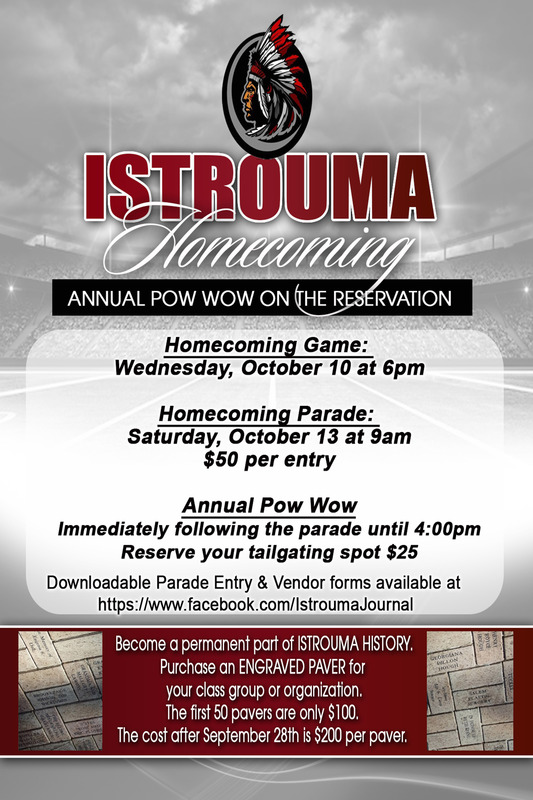 The parade will begin at Winbourne Elementary and head west to Istrouma High. The school’s Annual Pow Wow will follow outside the cafeteria. Both events are free. 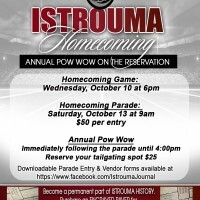 To reserve a place for your organization in the parade, become a vendor, tailgate, or to buy a brick, go Istrouma Journal on Facebook.com.